As a busy Mom, finding the time to exercize can be hard work. If you think that your ‘busy mom gets fit’ dream won’t happen because you don’t have the time to go to the gym, don’t worry. 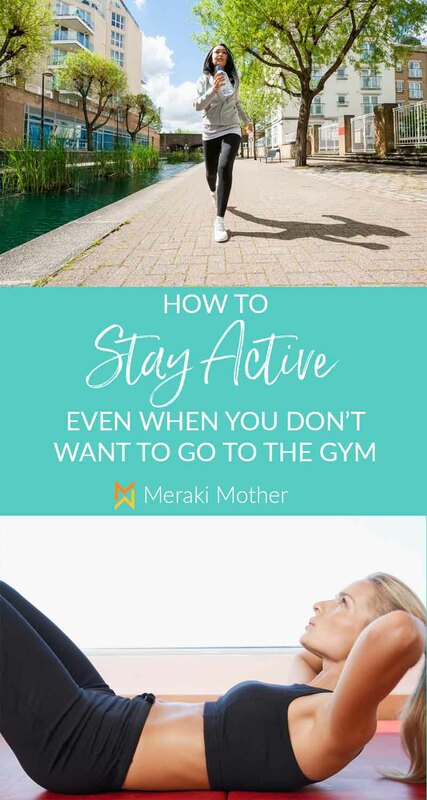 There are still some simple ways you can keep active and healthy at home without spending all of your time and money on fitness programs for women. Creating healthy lifestyle habits that you can stick to is so important. One of the simplest habits to create and keep is to walk more. And as an added bonus, walking is the most effective way to burn fat. Our first piece of advice would be to buy a pedometer. You could use a smartphone app but we love pedometers as they’re counting all those movements you make during the day, not just those when you have your phone in your pocket. The recommended daily steps is 10,000. Try to stick to that goal every day by walking instead of driving short distances, taking stairs instead of elevators, pacing while reading notes and books, parking further away from your destination and any other things you can think of. 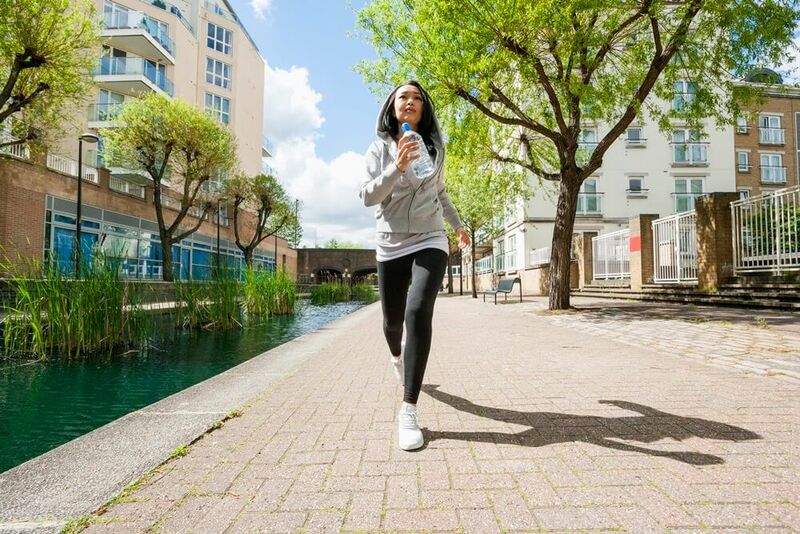 Walking faster will increase your heart rate and burn more calories. 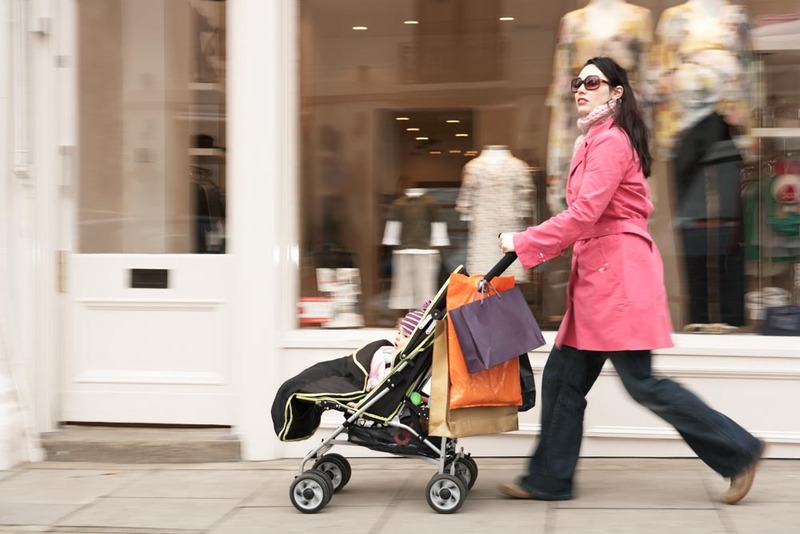 Some ways to speed things up are to make your everyday pace faster and let the children use their scooters and bikes while out, then try to keep up. This may seem like a strange one but using all those small muscles while you fidget is a great way to boost your metabolism and burn off calories. Think about tapping fingers, bouncing your leg while talking on the phone, stretching muscles, standing and pacing after sitting for 30 mins, moving arms and legs while watching TV. All small and simple movements that you can incorporate into your everyday practice. Household chores aren’t most peoples idea of a good time. However, they need to be done so you might as well make them work for you. Putting your all into things like vacuuming, mopping and window washing so that you are breaking out in a sweat for 30 minutes to an hour is a great way to get some exercise into your day. This is the ultimate stay at home mom workout if you like. Don’t forget outdoor chores like mowing the lawn too. One of the easiest ways to stick to an exercize plan is to make it fun. Dance around your lounge room to your favourite tunes. You don’t have to go to mom and baby classes to get rid of excess weight. Relearn how to skip or hula hoop, then have competitions with the kids. Get on the trampoline with the children and break out all those old tricks you used to do. Throw a frisbee at the park or kick the soccer ball around a local sports field. With these mommy and me activities not only are you exercizing but you are having fun with the family and giving them a good example on how to be active. There may also be mommy and me groups for fitness and workout with children in your area. This is a great way to socialize and get inspired. Make your days about movement and healthy lifestyle. Instead of coffee mornings with friends, go for a walk and chat. Perhaps you have always wanted to Bellydance or learn Yoga. Maybe you would like to take a mommy and me yoga classes, it is structured exercise but doesn’t feel like you are in the gym. Or perhaps organize to go bike riding or bowling with friends and family. Head to your local pool for a family day of swimming. Go exploring on a beautiful hike in your area. Maybe you would like to try kayaking or Stand Up Paddle Boarding? Signing up to learn a new skill is also a great way to make exercise part of your life. Heading out? Click for some inspo for quick but gorgeous mom hairstyles. You can do a variety of effective workouts at home. If you need something to follow along there are plenty of stay at home mom workout schedule online such as this great video from Kayla Itsines. You will need no equipment so it’s perfect for breaking into a sweat at home. Did you know that weight training for women is more effective in helping you lose weight than cardio? Why not get strong and healthy with at home strength training exercizes. There are also plenty of apps which can help you make workout routines for women easier. We love 7-minute-workout. Because just by doing these 12 exercizes for 7 minutes per day you can make a huge difference to your health. Did we miss any of your favourite ways to stay fit? Tell us them in your comments as we would love to hear them. Need to create some self-care habits? Discover 15 Self Care Habits to Practice with Your Alone Time that will Make you a Better Mother here.